I’ve been pretty much MIA for a bit. This year my oldest child is a freshman in high school and he joined the robotics team. The FIRST Robotics program is seriously impressive. The high school kids have 6 weeks to design and build a robot to compete in games that are played 3 on 3. Last weekend we went to the state championship and we will be going to the Worlds in Detroit in a couple of weeks. This years competition season is drawing to a close, but admission is free so if you have a chance either this year or next year to go see one of the competitions I highly recommend that you check it out. They also have programs for elementary and middle school aged kids. Copics: Red Flowers: Y11, R22, R24, R37, R39. Orange Flowers: YR12, YR14, E15, E18. Yellow Flowers: Y11, Y15, Y17, E15. Flower Centers: Y21, E13, E15, E18, RV99. Leaves/Grass: YG03, G21, G07, G28. Fence: E31, E33, E35, W3, W5, W7. Sky: B000, B00, BG53. 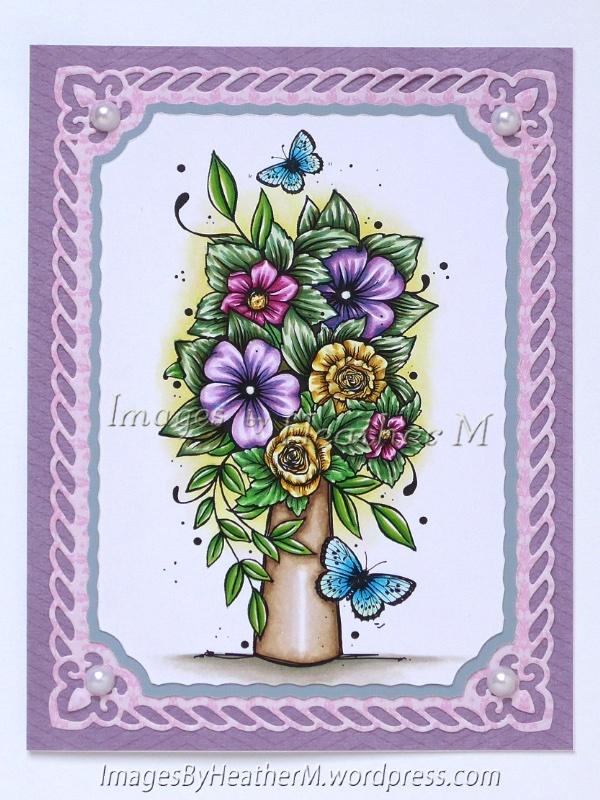 Copics: Purple Flowrs: V01, V04, V06, B37. Dark Pink Flowers: RV63, RV66, RV69, Y11, YR24. 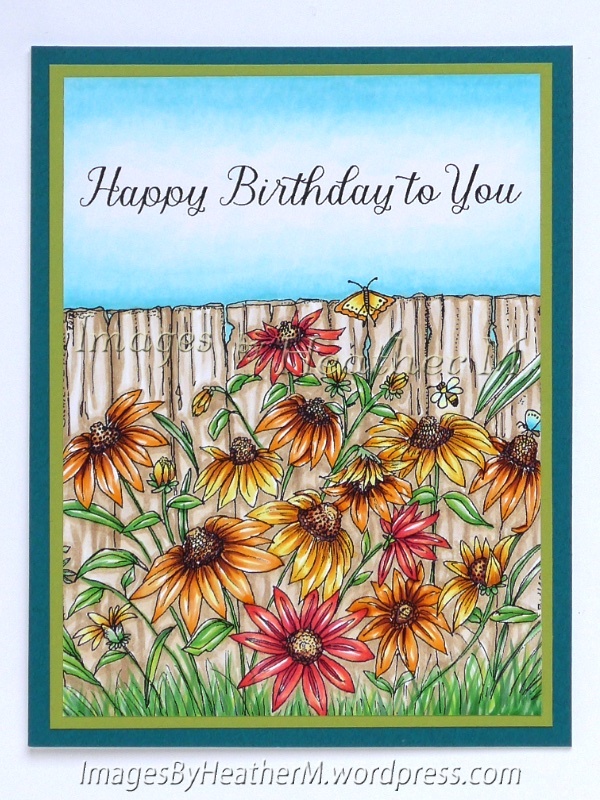 Yellow Flowers: Y00, Y11, Y1Y28, YR24 Butterflies: B00, B12, BG53, B16, Y00. Leaves: YG03, G05, G07, G14, G28, G40, G94, G99. Vase: E40, E41, E43, E44. Background: YR30, Y11, W1, W3, BG93. Misc: White gel pen, Silhouette Cameo. Copics: Skin: E0000, E00, E21, E11, E04, R000, R20. Hair: E31, E35, E47. Eyes: BG10, BG53, BG57. Aqua: BG10, BG53, BG57, BG49. Purple: V12, V15, V17, V09. Other: W1, W3, W5, W9. 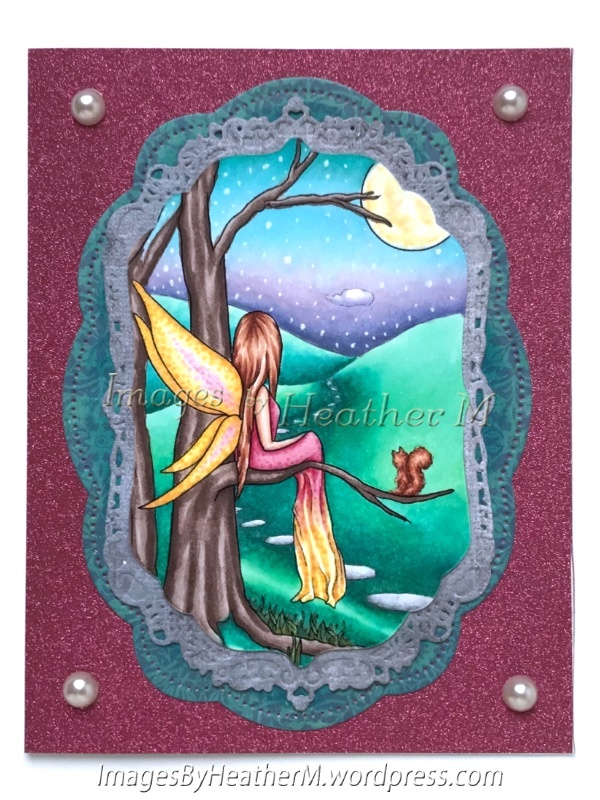 Misc: White gel pen, Mini Prills in Sweet Shoppe, Silhouette Cameo. Copics: Skin: E0000, E00, E21, E11, E04, R00, R20. Hair: E11, E13, E15, E18. Pinks: RV00, R81, R83, RV34, RV29. Yellow: Y11, Y15, Y17, E13. Leaves: G40, G21, G94. 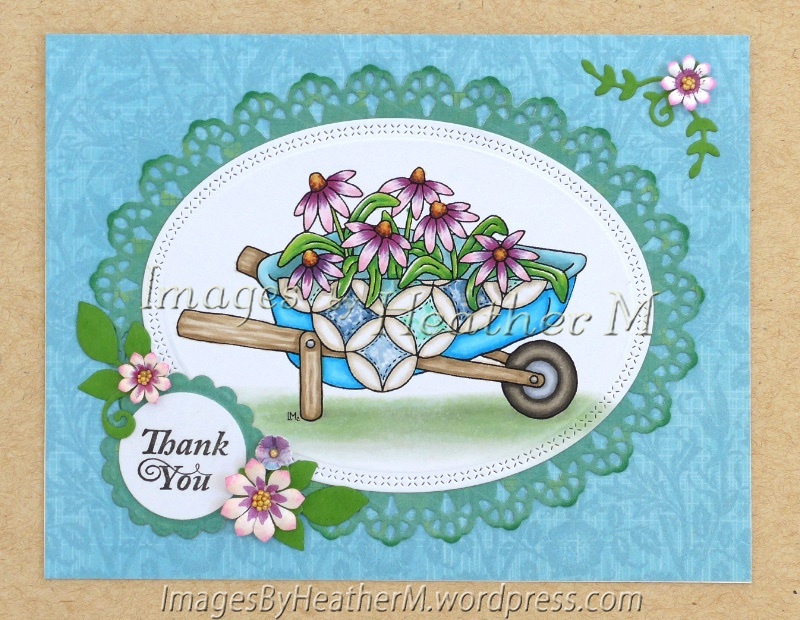 Copics: Wheelbarrow: BG70, BG71, BG72, B00, B02, B05, (handles) E40, E42, E43, E44, (wheel) W3, W5, W7, W9. Flowers: RV10, R81, BV11, V06, RV19, (centers) Y21, Y23, E13, E15, RV99. Leaves: YG03, G21, G07. Quilt: BG32, BG34, B91, B93, B95, B97, E40, E42, E43. Other: BG90, G40, YG61, BG93, C1, C3, W1. Misc: Mini Prills in Heart of Gold. 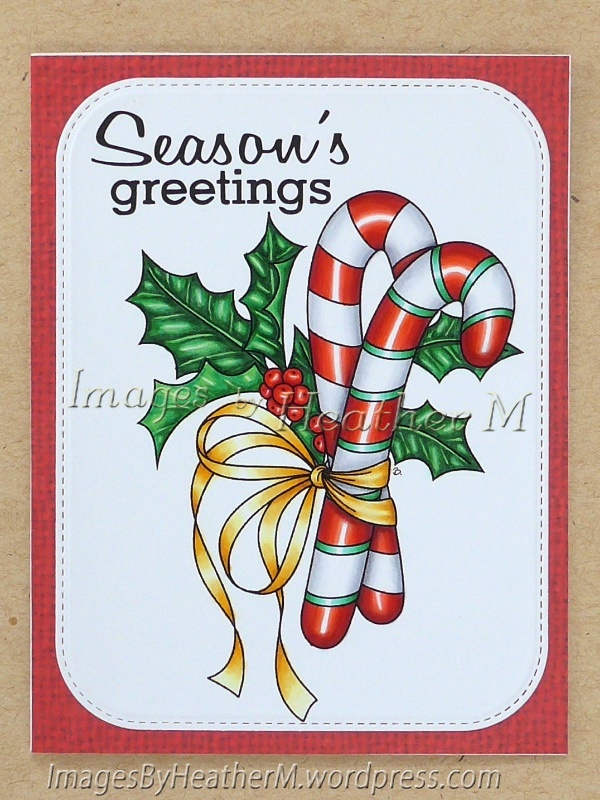 I used a fun Beccy’s Place digi called “Candy Canes” from the Sweet Christmas Set for today’s card. Copics: Candy Canes: R20, R22, R24, R27, R39, G00, G02, G05, G07, C0, C1, C3. Holly Leaves: G40, G14, G05, G07, G28. Holly Berries: R20, R22, R24, R27, R39, G99. Ribbon: Y00, YR31, Y17, E23.